Died: 20 November 1935, Johannesburg, South Africa. William MacDonald, agriculturalist and journalist, was the son of a clergyman of the same name. After attending the Royal High School at Edinburgh he went to the United States to continue his studies at the College of Agriculture, Cornell University, where he obtained the degree Master of Science (MS) in Agriculture. At some time he also studied at the Institut National Agronomique in Paris, France. He came to the Cape Colony during the Anglo-Boer War (1899-1902) and in 1901 the University of the Cape of Good Hope admitted him to the degree Master of Science (MSc) on the basis of his degree from Cornell University. The next year he became a foundation member of the South African Association for the Advancement of Science and was still a member by 1910. In 1903 MacDonald was appointed in the Department of Agriculture of the Transvaal Colony, Pretoria, as chief of the Division of Publications and editor of the Transvaal Agricultural Journal. Several of the articles he contributed to the journal dealt with agriculture in the United States, dry farming, and a proposed National College of Agriculture for the Transvaal. His interest in botany led him to collect plants on the Witwatersrand. Later he returned to the United States for further study at the University of Minnesota and in 1909 was awarded the degrees Doctor of Philosophy (PhD), and Doctor of Science (ScD) in Agriculture, his thesis for the latter degree dealing with Agricultural education in America, with a note on the Transvaal (New York, 1909, 162p). Upon his return to South Africa the University of the Cape of Good Hope admitted him to the degree Doctor of Science (DSc) on the basis of his ScD from Minnesota. By this time he had already been elected a Fellow of the Royal Society of Edinburgh, and not long afterwards was elected a Fellow of the Geological Society of London. After the formation of the Union of South Africa in 1910 MacDonald became the editor and proprietor of the Agricultural Journal of the Union of South Africa (1912-1914). He also edited the government's Agricultural Gazette of South Africa (established in 1915) and several other single and periodical publications. He is regarded as the founder of dry farming in South Africa, aimed at conserving soil moisture and making the drier regions of the country agriculturally more productive. His views on this subject were expressed in several publications: Dry farming: its principles and practice... (New York, 1909, 290p), What is dry farming; or, The dry-farmer's catechism (Cape Town, 1911, 38p), The conquest of the desert (London, 1913, 197p), The destiny of Walfish Bay (Johannesburg, 1915, 96p), and Dry farming and the conquest of drought... (1927). In 1914 he led a party of South African farmers on a visit to Europe and the United States of America. MacDonald was recognised as an authority on land settlements and small holdings, and wrote The settler and South Africa (London, 1913, 159p) to provide information for settlers who intended to farm in South Africa. He was a director of the South African Land Settlement Bureau and in that capacity wrote Farming in South Africa (Johannesburg, 1914, 217p). He was also president of the Land League, managing director of Sunshine Settlements Ltd, and was instrumental in establishing the government agricultural scholarships which enabled some 200 candidates to receive agricultural training overseas. Other publications by him included Makers of modern agriculture (London, 1913, 81p), containing biographical sketches of some agricultural pioneers of the 18th and 19th centuries, and Useful facts and figures for farmers (Johannesburg, 1915, 219p), a reference book for farmers. During many visits to the United Kingdom up to the time of his death he lectured on the South African goldfields and industrial development. One of his last publications, The romance of the golden Rand (London, 1933, 314p), told the romantic story of the Witwatersrand pioneers. 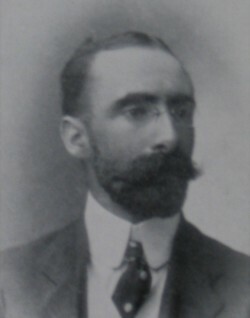 MacDonald was survived by his wife, Kathleen MacDonald (formerly Turner, born Whitford), but had no children. National Archives Repository (TAB), Source MHG, Vol. 0, Ref. 91023: death notice, William MacDonald. National Automated Archival Information Retrieval System (NAAIRS). http://www.national.archives.gov.za/naairs.htm Documents relating to William Macdonald. South African who's who, 1908, 1919/20, 1927/8. Transvaal Agricultural Journal, 1906-1910, Vol. 5-9. University of the Cape of Good Hope. Calendar, 1903/4, 1910/11.